LaVina Marguerite Liepold was born June 4, 1909 to Frank and Anne (Theisen) Liepold in Dundee, Minnesota. When she was 4 years old, she moved with her family to Adrian, Minnesota., where she attended grade school and high school. After graduating in 1926, she attended a Speech Arts School in Minneapolis for 2 years. She moved to Sioux Falls in 1930. LaVina worked at Shriver Johnson before going to work for Northwestern Bell Telephone Company. 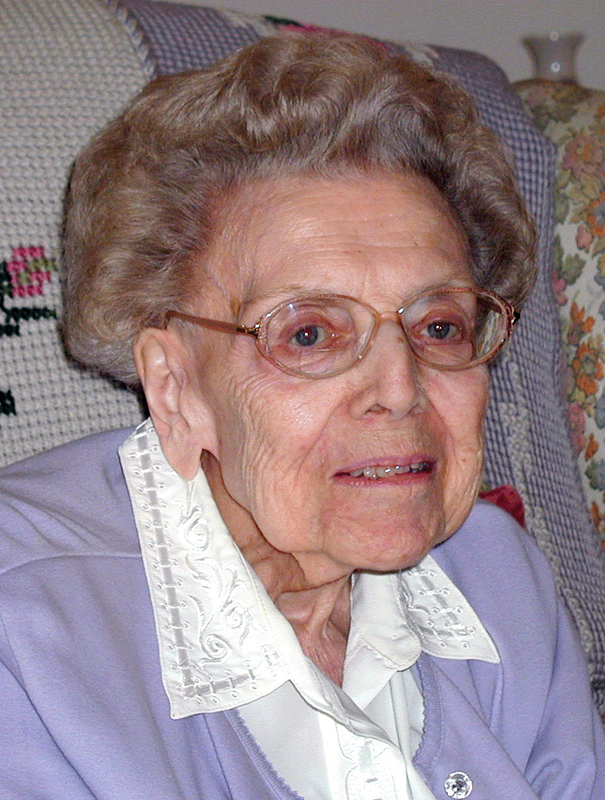 She retired in 1974from Northwestern Bell Telephone Company. She was a member of St. Joseph Cathedral parish, Catholic Daughters of the America and Cathedral Club #27. She was also a member of the Telephone Pioneers of America. LaVina was preceded in death by her father, mother, a sister Bernice Harris and brother Father Donald Liepold. She is survived by many friends, cousins and special cousins, Joe and Lois Mattecheck. Visitation will be Wednesday at 4 PM at Barnett-Lewis Funeral Home with a Scripture Vigil at 7 PM, followed by the Rosary. Mass of Christian Burial will be Thursday, 2 PM at the Prince of Peace Chapel located at 4500 Price of Peace Place in Sioux Falls. Memorials may be directed to the Catholic Foundation for Eastern South Dakota at 523 North Duluth Avenue, Sioux Falls, SD, 57104.